Welcome to days 20-22 of our Top of the World tour. 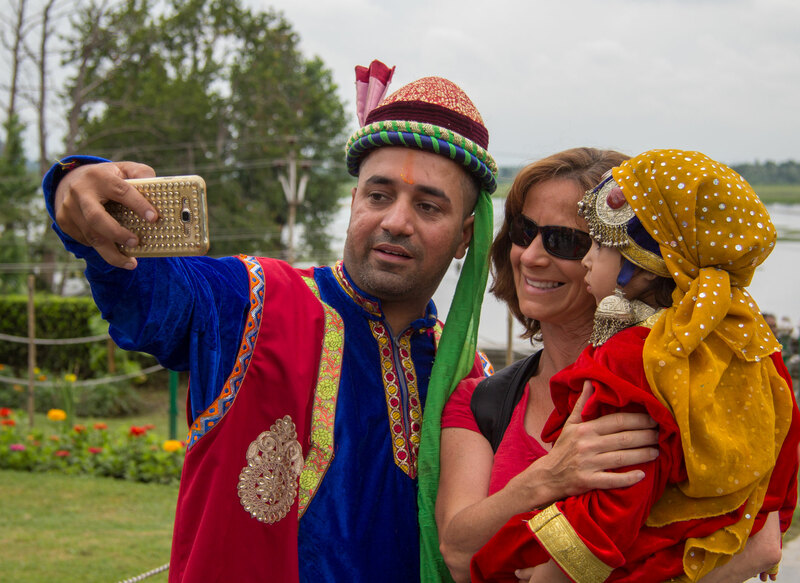 Today, day 20, we have travelled to Srinagar over our final pass of the tour – the Zoji La, a treacherous pass at 3528m (11575ft) that links the Kashmir Valley and Ladakh. 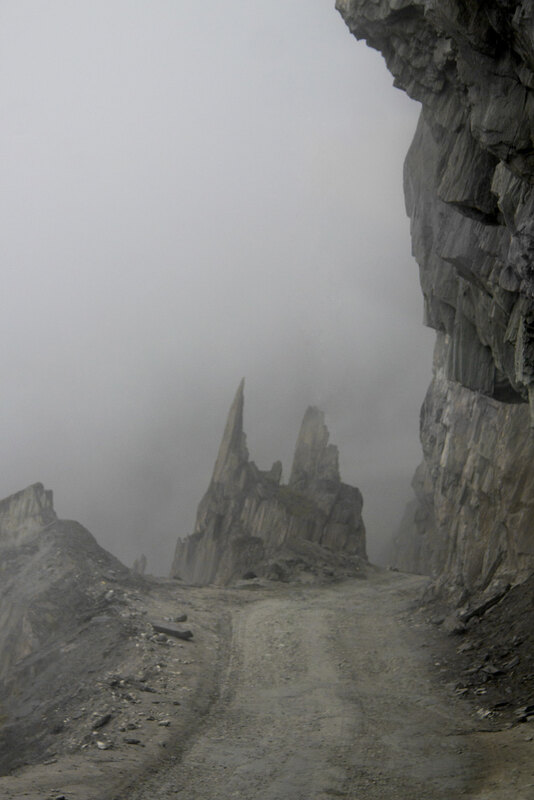 Descending into clouds and mist as we left Ladakh, we passed by the campsite of Baltal, with literally thousands of tents set up for the 7500 Hindu pilgrims who trek daily to the Amarnath shrine, for a month every summer. 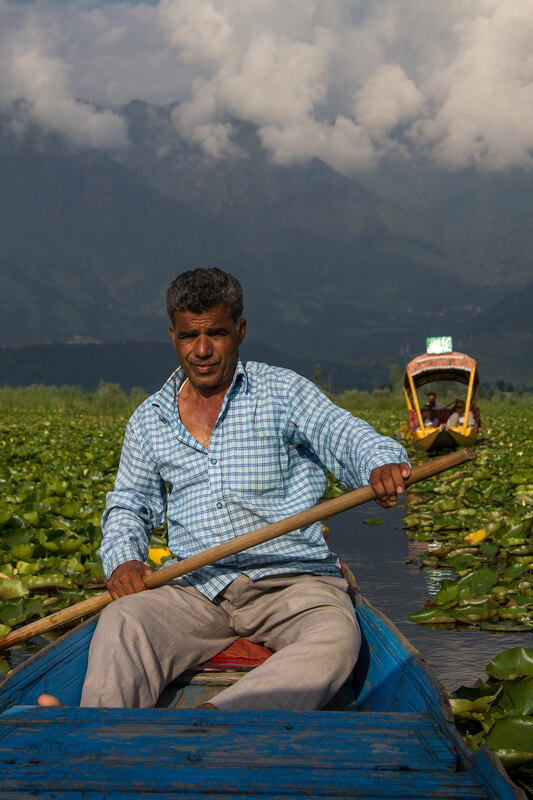 Continuing on through road blocks due to the vast numbers of vehicles on the road for the pilgrimage, we made it into Srinagar mid afternoon, and have boarded shikaras – small boats – to be rowed across the lake to our houseboats – our homes for the next 3 nights. 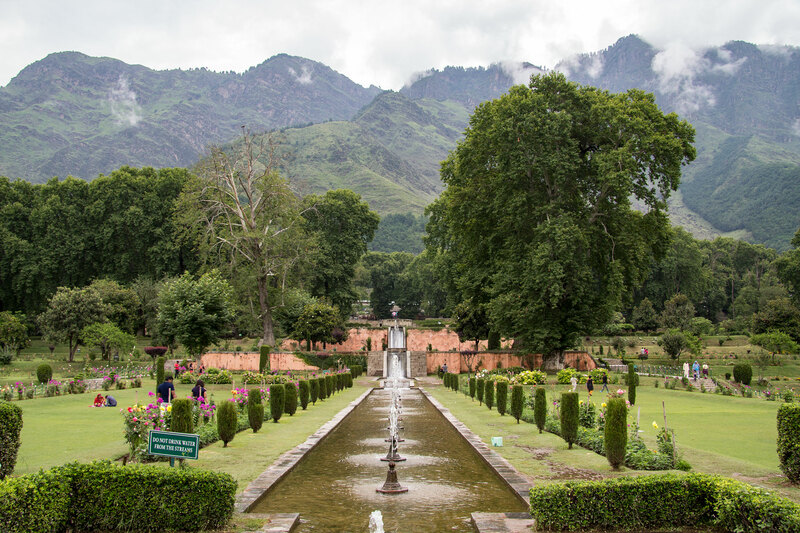 Day 21 and it’s our first day of two full days in Srinagar and we have spent the morning visiting the Moghul gardens, Pari Mahal and this afternoon had a very relaxing shikara boat ride on the lake where we got to see some of the life along the canals on the lake. 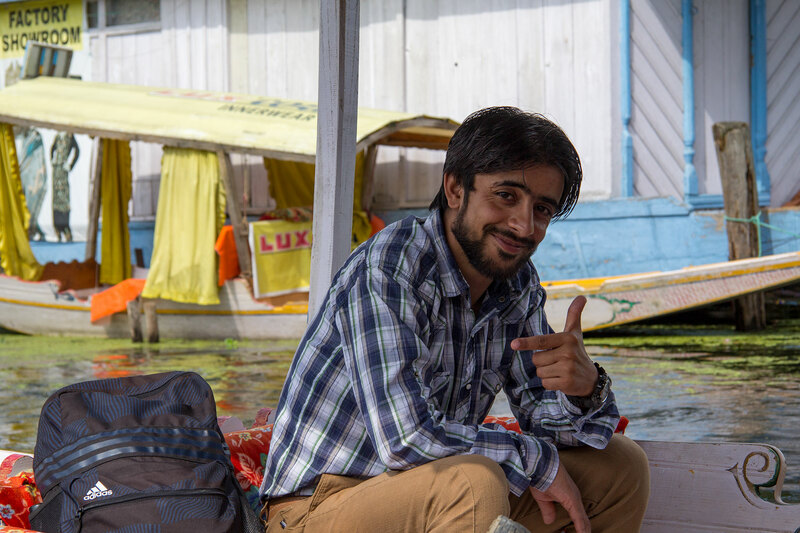 Whilst we are here in Srinagar, we are staying on two of the famous Dal Lake houseboats. 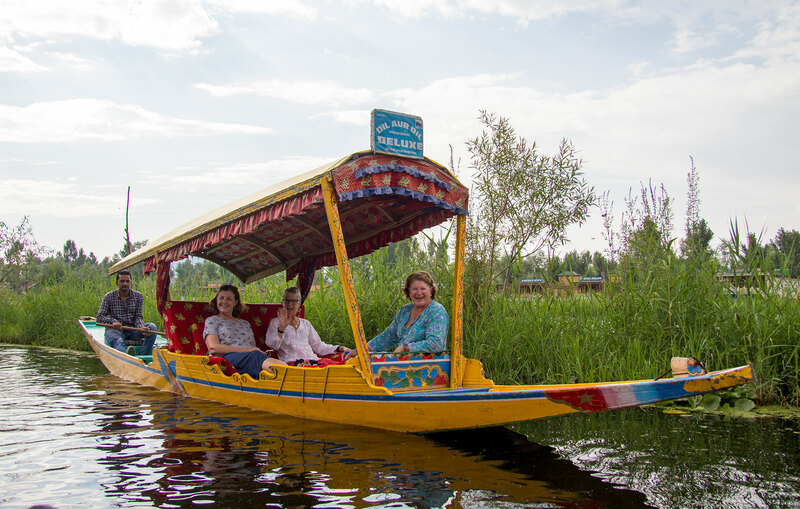 These houseboats were first built by British as a way around the local law that forbid foreigners from owning land. When the British left in 1947 houseboats were already being used as hotels for tourists and the tradition continues today. These boats are much more than just a hotel room – they are luxurious homes on water, moored at the edge of the lake or along canals created to link many of the man-made islands. 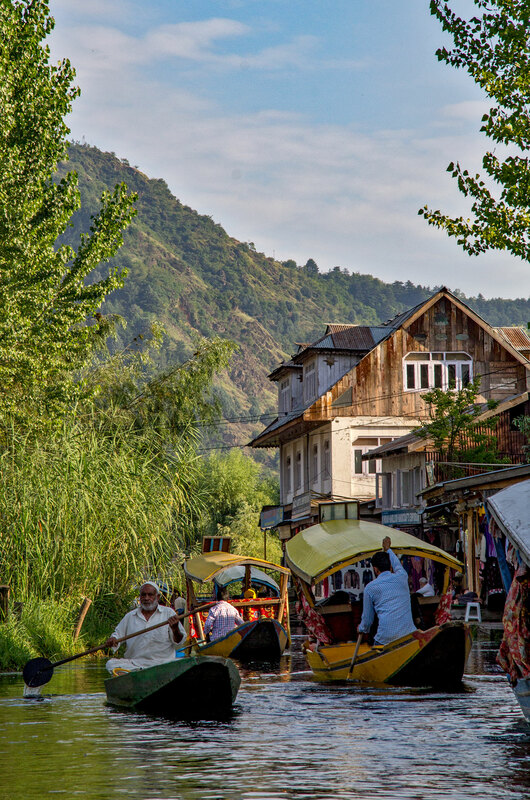 The houseboats in Srinagar have a lounge room, a dining room, a balcony out front and three or more en-suite bedrooms. They are built entirely of cedar wood with walnut wood furniture and beautiful furnishings. 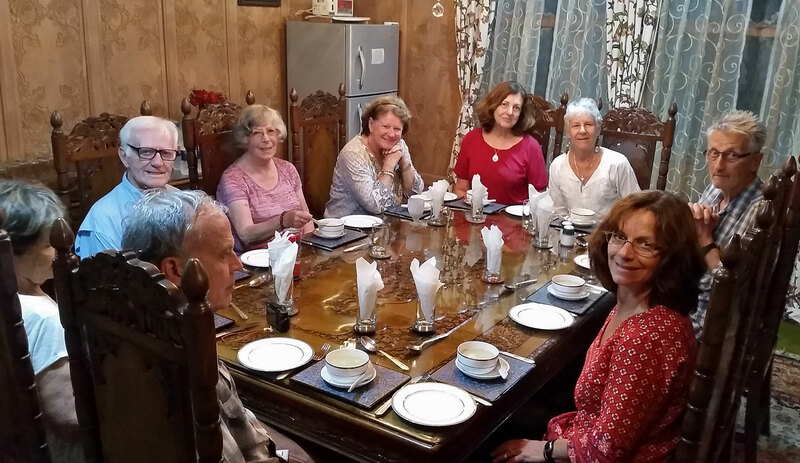 It’s day 22 and we’ve been across to the shore to visit a local restaurant to sample traditional Kashmiri cuisine – Wazwan (which was absolutely delicious) – and are now heading back to our houseboats. 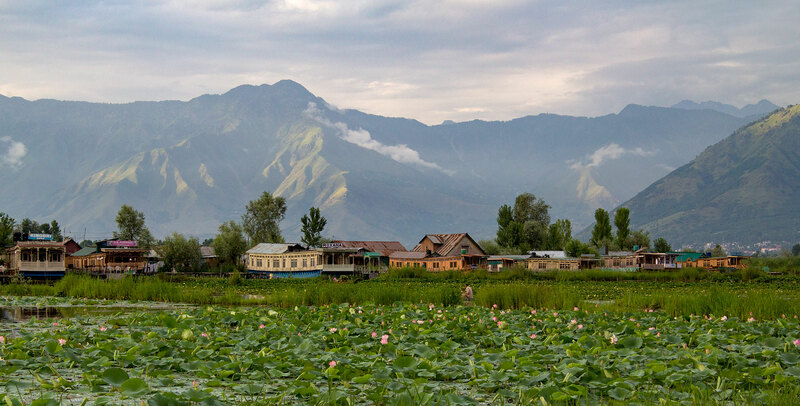 Dal Lake is a fascinating part of Srinagar. More than just a lake, communities have sprung up on the lake itself on man-made islands which were created from matted vegetation and earth. 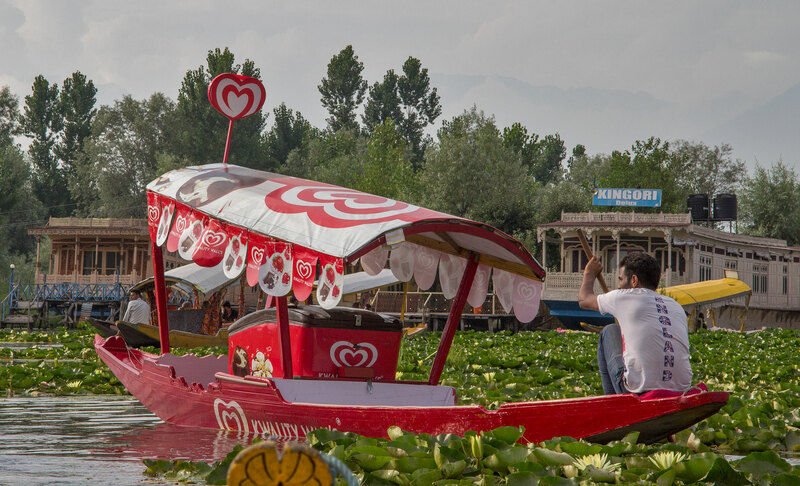 Now a maze of intricate waterways and channels, the southern part of Dal Lake is home to hundreds of houseboats, shops that are on houesboats or man made islands and even floating gardens and markets. Sitting on the balcony of our houseboats, we have had floating hawkers come by selling everything from jewellery to leather bags to flowers and flower-seeds. If we run out of cash, there is a money changer who comes by daily, and in the afternoon, the ice-cream wallah pops by, providing our daily magnums!